Dangerous Driving will be available for PC on the Epic Games store, PlayStation 4 and XBOX ONEon April 9, 2019 for $29.99 £24.99 digitally. The physical version, published by Maximum Games, includes bonus game Danger Zone 2, and will be available for $39.99 $49.99 CAD £29.99 €39.99 $69.95 AUD. 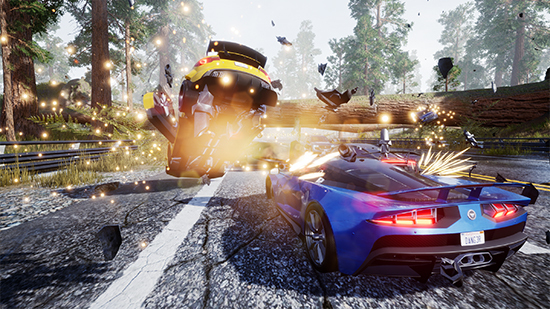 Three Fields Entertainment, the independent British developer led by industry veterans Fiona Sperry and Alex Ward, today revealed additional game details for Dangerous Driving, which is scheduled for release April 9, 2019.